October 31st is a pretty important day. Especially this year. Especially if you’re Lutheran or part of the Reformed Church tradition. Yeah, it’s not that it’s Halloween. Or maybe it is, but I’ll come to that in a minute. This year marks the 500th anniversary of the day recognized as the start of the Reformation. That’s the day that Martin Luther nailed his Ninety-Five Theses to the door of the church in Wittenberg, Germany, and sent them to the local Archbishop. They were statements, ideas meant to be argued, about the use of indulgences in the church. Luther was opposed to the selling of indulgences – the practice of paying the church money to reduce the punishment for sins, in this world and the next – amongst other things. Many other things. And soon, people were talking a thinking and questioning, all helped along with pamphlets mass produced by the new printing press. And this is where it all started. The great schism in the church that gave us the Lutheran and other reformed protestant denominations. There’s so much more to learn about the history of the Reformation and I’d encourage you to look into it, into Martin Luther and others in the early days of the Reformed tradition who encouraged, well, reform – people like John Calvin and Ulrich Zwingli. Maybe you’ll even see a “Martin Luther” come to your door this Halloween. 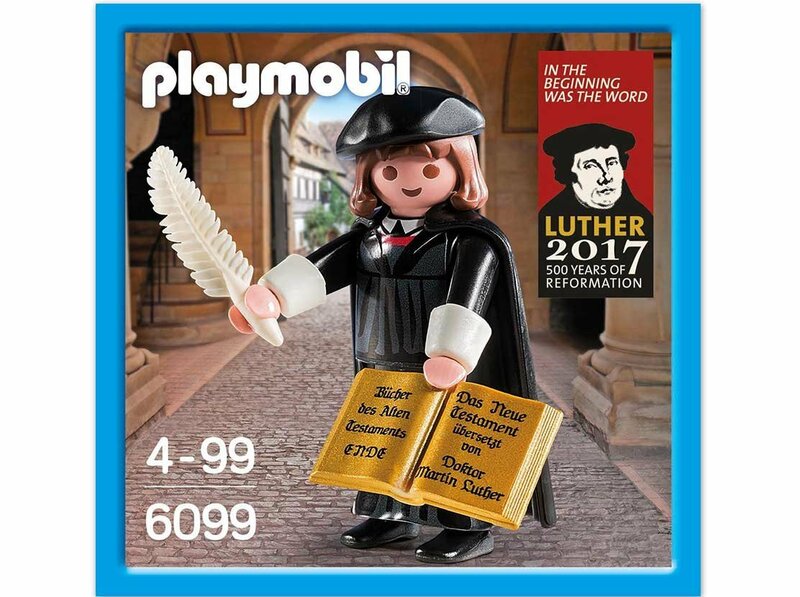 Some historians have suggested that Luther picked the day to make a statement because so many of the common people would see it. There’s no proof of that, but it makes sense to me. Besides, as time goes on, what better time to remind people of what the church is really supposed to be about than the day we honour the saints. Halloween is, literally All Hallows Eve, the day before All Hallows or All Saints Day. Who those people are may depend on your faith tradition, but generally, we tend to think of them as the historic figures that we look to as great examples of The Faith. These are the people we most readily point to as people in whom we have seen the teachings of Jesus lived out, the Spirit alive, the light of God shining through. These are the superheroes of faith we can only aspire to be like. And, unfortunately, that’s where we stop. Somehow those saints have become distant from us, and not just in the past. Somehow, they’ve become something we, with our faults and frailties could never be. Somehow those saints have all become not just superheroes, but superhuman. And they’re not. They’re us. Really. Jesus didn’t choose twelve perfect examples of his teaching. He chose twelve ordinary, everyday people who learned and experienced something special and, despite their very real flaws, became not something different, but even more of themselves. That’s where Jesus takes us, teaching us to be more of who we truly are. The capacity to love and the desire for relationship, these are within us. Jesus calls us to live them out, to overcome the obstacles we place in our own way and the obstacles others put in theirs. Matthew tells a story of the pharisees sending a lawyer to ask Jesus what is the greatest commandment. Love God with all your heart, he says, but there’s more: love your neighbour as yourself, too. The entire law is built on these two. Sure, a good answer would have been simply to say “love God,” that would have satisfied the lawyer and the pharisees. (Or just the opposite, of course: they might well have been hoping he would say something they could challenge.) But Jesus doesn’t stop there, taking advantage of an important teachable moment: love your neighbour as yourself. “Love your neighbour” is radical enough, especially when we realize that, as your neighbour, Jesus means everyone we meet, particularly the ones in need, especially the ones we don’t like and most especially the ones we might see as an enemy. And to love them means to love them like Jesus, with generosity, respect, grace and compassion. But there’s more: love them as you love yourself. I think this is kind of like the safety instructions on a plane when they say, if the oxygen masks appear, put your’s on first, then help the person next to you. You can’t help them if you can’t breathe. Just so, you can’t truly love your neighbour if you don’t love yourself. And boy, don’t we find that so hard? Here’s the thing, though. Not long before this story is one where Jesus responds to a question about paying taxes by reminding the pharisees who’s image is on a coin, perhaps also reminding them who’s image we are created in. It’s worth remembering that here, too. If we are, as it says in Genesis, created in the image of God, then surely that’s a foundation on which to love ourselves and each other. In a Sermon for All Saints Day, Martin Luther once said that “the living saints are your neighbours, the naked, the hungry, the thirsty, the poor … turn to them and help them.” Maybe there won’t be a Martin Luther at your door this Halloween, but there will be saints. Love them.